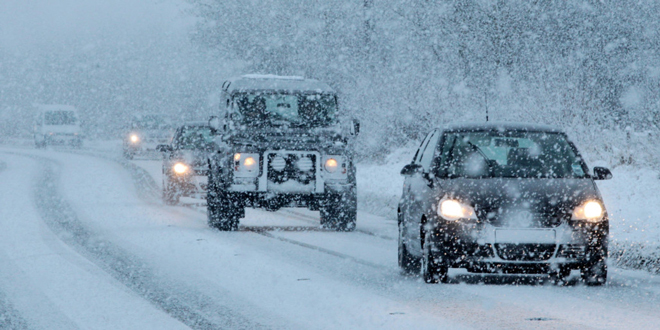 Winter driving can be risky, so a safety refresher now can help prevent headaches later. 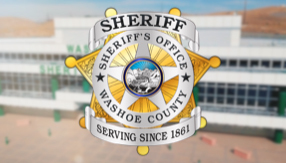 The Sheriff's Office see too many crashes from drivers not slowing down in winter conditions. We ask that drivers slow down, wear their seatbelts and turn off their cruise control. Statistical data showed that as many as 800 car accidents statewide were caused by unsafe driving behaviors in wet and snowy conditions last year. The Sheriff’s Office is asking drivers to remember the three “P”s of safe winter driving: Prepare before you leave; Protect yourself; and Prevent an auto accident. Travel in winter weather only when necessary. Leave enough time to safely reach your destination and plan your route to avoid snowy/icy areas and steep hills. Check weather and road conditions by dialing 511 in Nevada. Maintain your car: check your battery, tire tread, windshield wipers, levels of no-freeze fluid in the washer reservoir and your antifreeze. Maintain a high fuel level in your gas tank. Keep a basic winter travel kit in the car: chains, a flashlight, jumper cables, shovel, snowbrush, ice scraper, water, road flares and a blanket. Avoid quick starts, stops and fast turns. Accelerate, brake and steer smoothly and gradually. Reduce Speed. Speed limits are based on normal road and weather conditions, not winter road conditions. Don’t slam on brakes. Apply steady pressure on ABS-equipped vehicles and pump the brakes if necessary on non-ABS vehicles. Keep additional distance from other vehicles. Don’t pass without good distance and sight clearance. Avoid using cruise control in inclement weather. Use extra caution on bridges, ramps, overpasses and shady areas; they may freeze first. Comply with all posted chain requirements. Watch carefully for snow removal equipment. If vehicle begins to skid, steer in direction of slide and slowly remove foot from accelerator. Before driving, place your cell phone in the glove box where you won’t be tempted to use it while driving. Or you can simply turn off your phone when driving. Remove snow and ice from all car windows, mirrors, lights, turn signals and license plates. Snow can fall off onto your windshield while driving or can fly into the path of another car, significantly reducing visability. Make sure vehicle exhaust system is clear of snow when parked. If you plan on drinking, designate a sober driver. Avoid fatigue. Get plenty of rest before a trip. Try to stop every three hours and rotate drivers if possible. If your vehicle has snow tires, install and use them between October 1 and April 30. If parked or stuck in snow, leave window slightly cracked for ventilation.